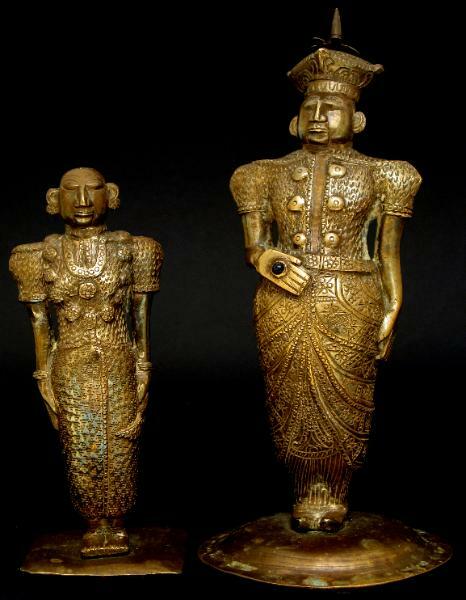 This pair of brass images shows a chief from Kandy and his wife. 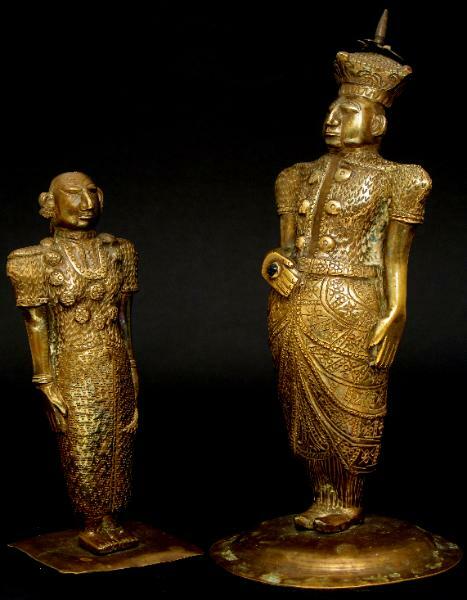 Both are in the elaborate costumes that the nobles of Kandy wore in the eighteenth and nineteenth centuries. The chief wears the square-shaped hat associated with his office and a ring, signified by a blue cabochon stone. Both have an erect, noble pose. 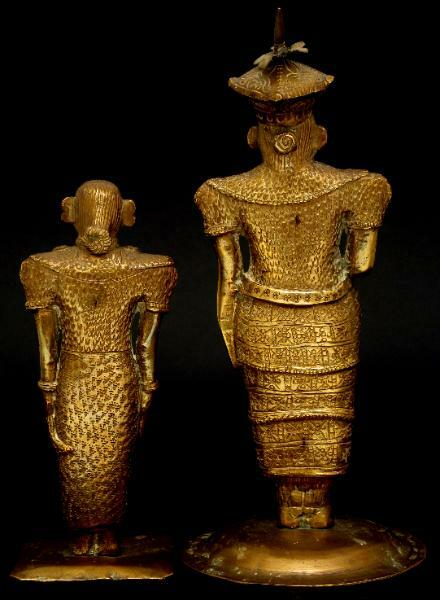 Each of the figures stands on a brass plate: the chief on a round, raised one befitting his high status, and the wife on a square, lower one. 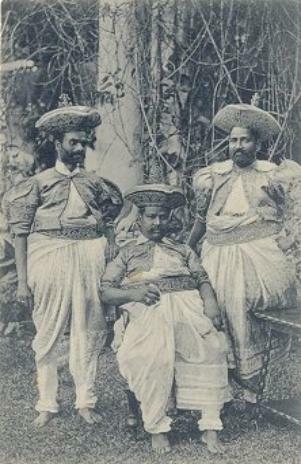 The black and white photograph below is of a postcard ‘Kandyan Chiefs’ published by Plate & Co (Ceylon), circa 1910, and is available with the two figures.